Thinking about throwing your old soiled carpet away? Why not contact Excellent Carpet Cleaning to professionally rejuvenate and deep clean it instead? 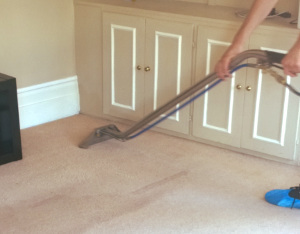 Our expert carpet and rug cleaning company offers commercial and residential rug and carpet cleaning in Brook Green W14, and we can deep clean any kind of carpet or rug for you at an attractive carpet and rug cleaning price. We provide the business owners and people situated in Brook Green W14 with the top quality deep carpet cleaning in the region. Excellent Carpet Cleaning has been offering professional dry foam carpet cleaning and steam carpet cleaning for over a decade. All of our cleaners are hand-picked after personal recommendations. They are police background checked, experienced and trained in using our modern professional carpet cleaning equipment, solutions and tools. Our prices are affordable and fixed. We will not charge you extra invisible fees. We can clean any type of rug or carpet, and offer carpet spot and stain removal of various stains, such as: rust, oily stains, paint, wine, tea, blood, vomit, coffee and can repair moth damage on your rug or carpet. We can provide one off or regular carpet and rug cleaning for commercial and domestic properties as well. Our cleaners are prepared and equipped to provide you with premium quality steam carpet cleaning or dry foam carpet cleaning, depending on the type of carpet or rug you have. The service includes rug and carpet spot and stain removal for a variety of stains. The deep carpet and rug cleaning service starts with thorough hoovering and inspection of the condition and type of carpeting you have. Any high traffic areas and removable stains are pre-treated with tested solutions. Then, the cleaner proceeds to perform the shampoo carpet cleaning with the help of a powerful hot water extraction machine. If you have a delicate carpet or rug, the cleaner will use a dry cleaning technique instead. If you want, the cleaner will end with deodorising and Scotchgard protecting your carpet or rug. Along with the carpet cleaning, we can offer you professional drapery cleaning, deep mattress cleaning, bed bug mattress treatment, blinds cleaning and curtain cleaning. Our cleaners begin with an inspection of the type of carpet or rug, its condition and the material it is made of. Then thorough hoovering is done, followed by careful tests of the solutions which will be used on a small inconspicuous spot of your carpeting. Any removable stains are pre-treated, and so are the soiled, high traffic areas. Depending on the type of rug or carpet, either steam or dry cleaning is finished. Steam cleaning is a deep shampoo carpet cleaning technique done with a powerful hot water extraction machine. 95percent of the water used is extracted back into the machine, so the drying time is only about three hours. The dry cleaning does not require drying time. After the cleaning, upon request, our cleaners can provide a deodorising or Scotchgard protection treatment for your rug or carpet too. If you want to save your time and money, you can book one or more of the other services, we provide, so the cleaners can perform them at one visit. We will give you a discount of up to 15% for every other cleaning you order along with the carpet cleaning. The carpet cleaning team can also provide: blinds cleaning, curtain cleaning, drapery cleaning, mattress cleaning and bed bug mattress treatment services. Excellent Carpet Cleaning offers its customers a simple and quick booking procedure available 24 hours a day. Just send us an online order here or call 020 3404 0500. You will receive an e-mail and text message confirming your booking within the next 2 hours. Not any deposit is required at this point. You can book our carpet and rug cleaning service for any day of the year or order same day-emergency cleaning. Booking more than one service at a time will be rewarded with big discounts. If you book early ahead or are an estate agency, a regular customer or landlord, we will clean your carpets and rugs at preferential prices. Book now!